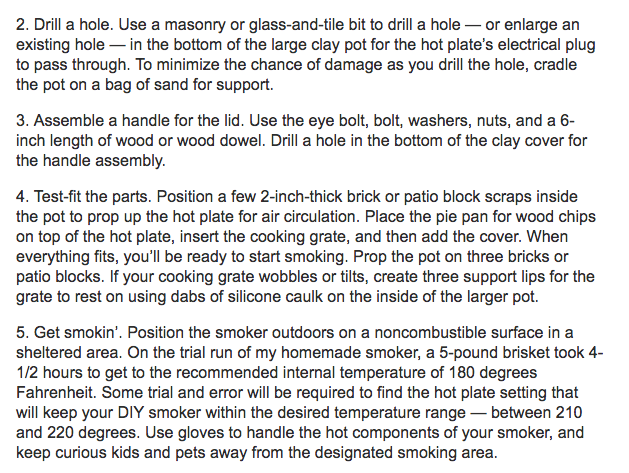 DIY smokers are clearly the way to go for delicious meats in a survival situation. That’s because smoking meat is one of the most important and essential ways to preserve it for a crisis. People have been smoking meat for thousands of years. They may not have been using a fancy Weber or Traeger, but make no mistake they were using this technique to stock up on plenty of survival meat for when times got tough. Sure, it’s 2017 (almost 2018) you can blow hundreds of dollars on a big-brand smoker. OR you can make your own for WAY less than that. The beauty of these DIY smokers is that they work great, and they’re cheap – especially when comparing to a Weber or Traeger. Not to mention, they’re very dependable and can perform just as well – if not better – than the expensive ones from a specialty store. 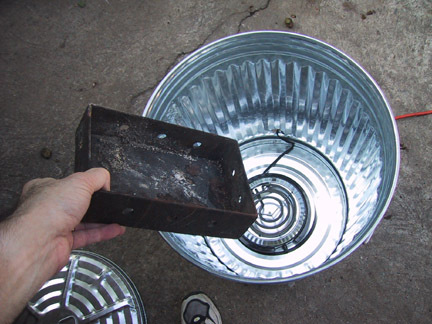 And all it takes is a simple trip to the hardware store (or scrapyard if you’re extra thrifty). This method proves you don’t need to invest tons of money into either a Traeger or a large smokehouse to get deliciously smoked meat. 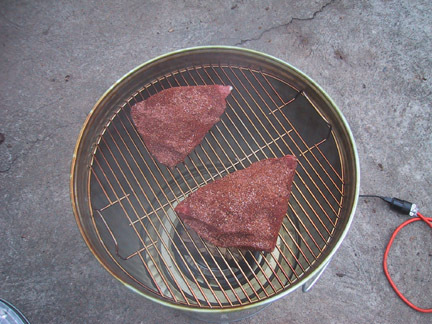 In fact, this method assembles so quickly you can start smoking your meats tonight! This is absolute proof you don’t need to purchase an expensive meat smoker to get the job done right. Check out the video below to learn how to make a durable and functional smoker out of an old file cabinet. For more detailed instructions, click the YouTube icon on the bottom right of the video, and you can read more in the video’s description. First of all, the idea for doing this comes from Alton Brown and his show Good Eats. Without his inspiration, I wouldn’t have even considered making this. Recently my good friend Martin moved back to Kansas from LA. When he left, he took his smoker with him. This left me without access to a smoker. This is A Bad Thing. Smoked food is one of life’s great pleasures. 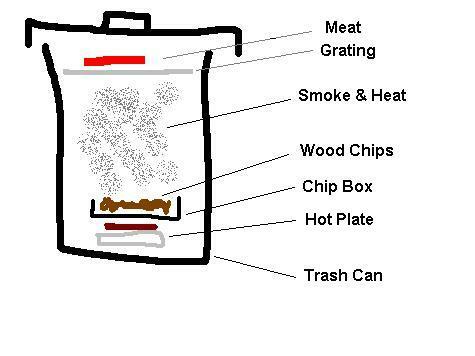 I decided that I need to make my own smoker. I should explain the basic differences between grilling, BBQing, and smoking meat. Each is a way of cooking meat, but they differ in methods and results. 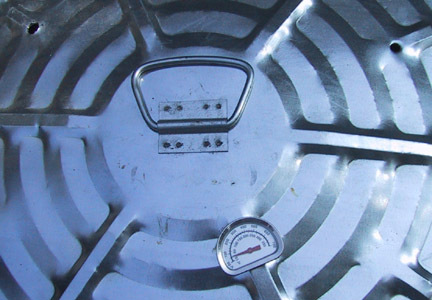 Grilling is cooking meat by the direct application of high heat with a gas burner or an electric heater. 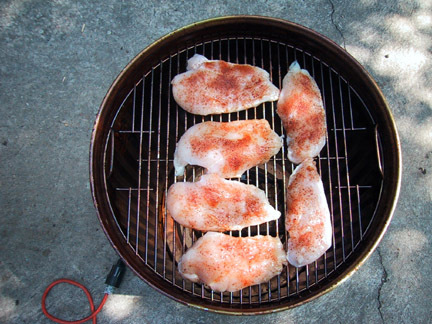 Grilling is simple since temperature is easy, but doesn’t bring any new flavors to the party. BBQing is cooking meat by the direct application of heat with charcoal or wood. The burning of the fuel adds flavor to the meat. 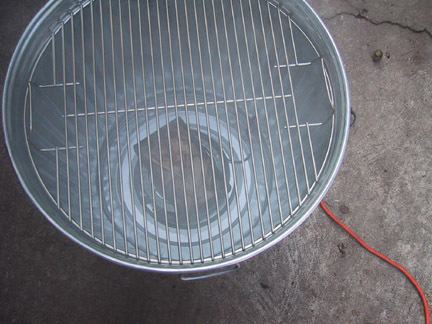 BBQing requires more skill since the flames must be managed to prevent burning or low temperatures. 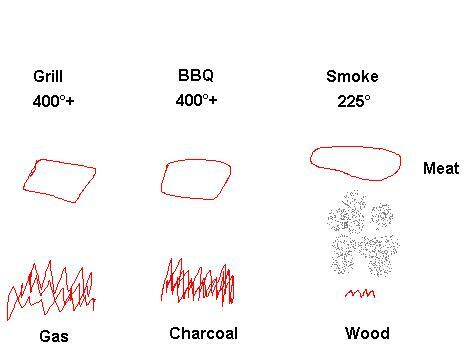 Smoking is cooking meat by the indirect application of heat with wood at low temperatures. Low temperatures are considered around 225°. The smoke of the burning wood adds significant flavor to the meat. 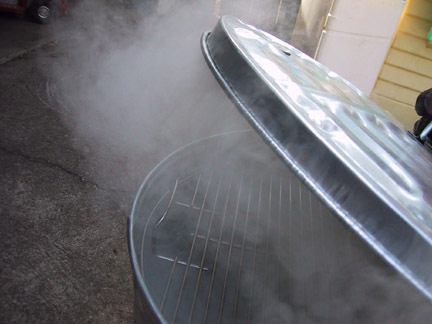 Due to the lower temperature, smoking meat takes a longer time than grilling or BBQing. Using different woods leads to different flavors being imparted into the meat. This is the basic design of smoker. See how the smoke created by the wood chips rises and slowly cooks the meat? 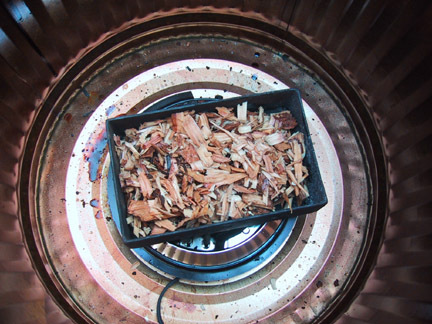 So the plan is simple, use an electric hot plate to heat wood chips inside a metal trash can. 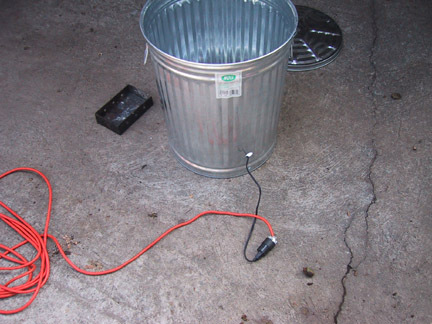 I picked up a trash can at the hardware store and ordered a single burner hot plate. 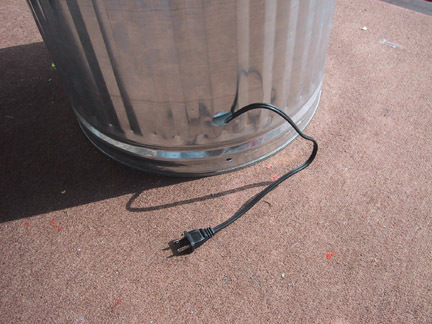 The first issue is getting the power cord out. I used a drill and metal nibbler to open a hole in the trash can. Be sure to file down the edges so that the power cord can’t get cut. 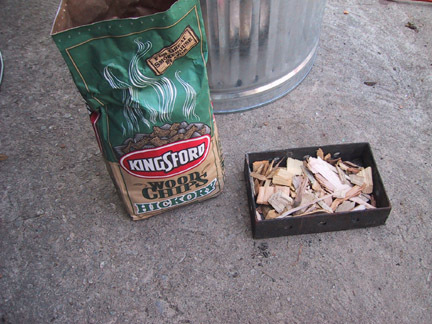 I had a small wood chip box that I had previously used with my gas grill. Here’s the general setup with the hot plate powered. The wood chips are easy to find at any BBQ supply place. For my test run, I used hickory wood. 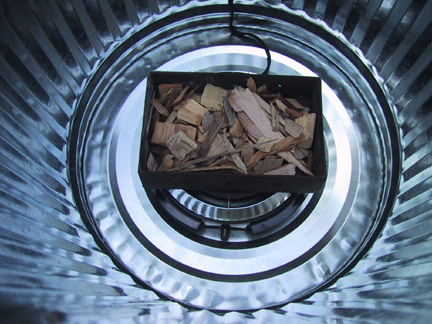 The wood chips in position, ready to burn. After a few minutes the wood is starting to smoke. The first sign of success. 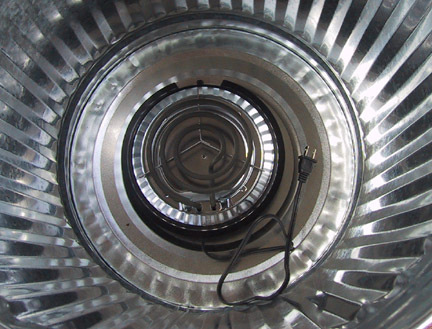 With the lid on top, the heat and smoke build up rapidly. I decided to use top sirloin with a dry rub. The traditional meat to smoke is a tri-tip, but the supermarket was out. replaced with fresh chips. Cooking the beef took about 4 hours to hit the target temp of 145°. The next day I decided to make a few additions. 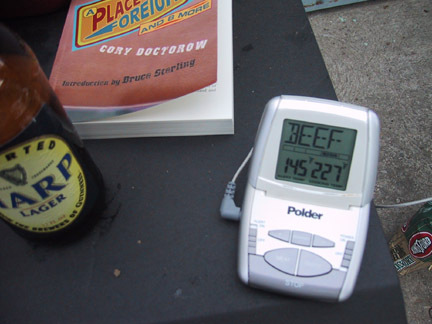 I went to the Barbeques Galore and picked a temperature gauge. I also drilled another airhole in the lid. For the second run, I decided to try chicken. soaked the apple wood chips in water. You can see the smoke particles on the sides of the trash can. Here’s the chicken ready to go. 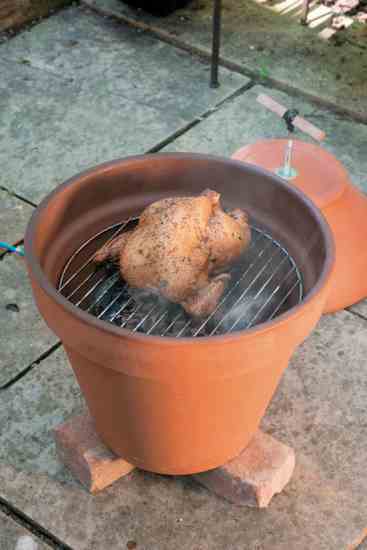 the smoker to keep the chicken moist. 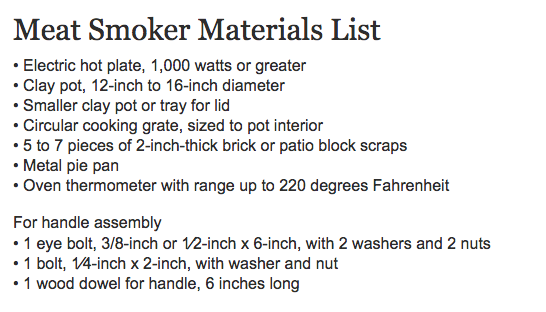 So there you have it, a working smoker made from easily available parts. 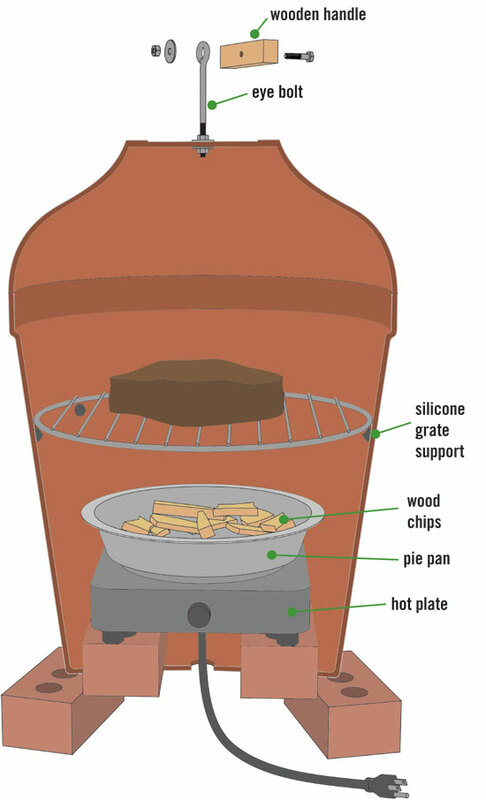 So for just over $50, you can build a smoker. 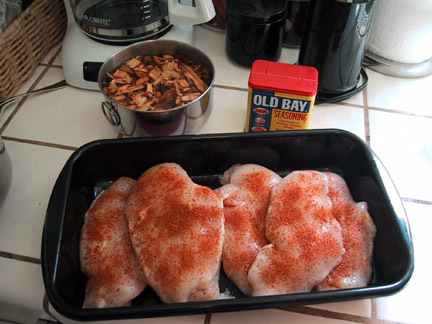 1) Soak the wood chips in water for 20-30 minutes before using them. 2) Keep an ash can ready to dump the ashes into when you put new chips in. 3) Take your time. Smoking takes a while. Don’t be in a hurry. 4) After taking the meat off the grating, wrap it in aluminum foil and let it sit for 30 minutes before eating. Thanks to Martin for his support and answers while I got rolling on my smoking career.